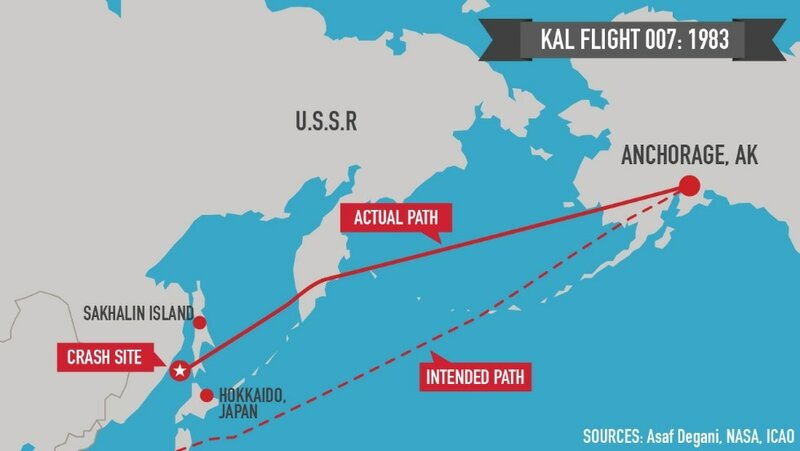 Relations between the United States and Soviet Union further deteriorated with the downing of Korean Airlines 007, merely a month before the False Alarm incident. "I wondered what kind of plane it was, but I had no time to think. I had a job to do. I started to signal to [the pilot] in international code. I informed him that he had violated our airspace. He did not respond." "Then, on the instructions of ground control, two missiles were fired. 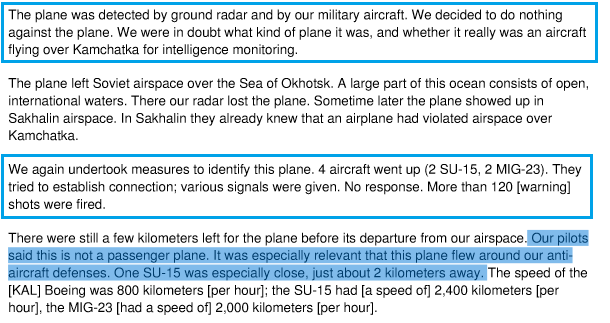 The shootdown occurred over the territory of Sakhalin." ​"Let me state, as plainly as I can: There was absolutely no justification, either legal or moral, for what the Soviets did." "The Russians saw a U.S. government preparing for a first strike, headed by a President [Ronald Reagan] capable of ordering a first strike."